We all know that content is referred to as a king in SEO. These 3 points can make one, wealthier in many terms. The effort of SEO in a post or on web starts with better content. What is content, how to organize better content, how it is structured, how it strikes one’s mind? These are some questions, which always comes to your mind when you start thinking of new content for your blog, article, Website or even if it is a small social media post to attract users. Here you will quick answers to all your questions regarding content writing, copy writing. Here at Digiclause, we do a lot of content writing for our blog, and content marketing activities and for our customers too. 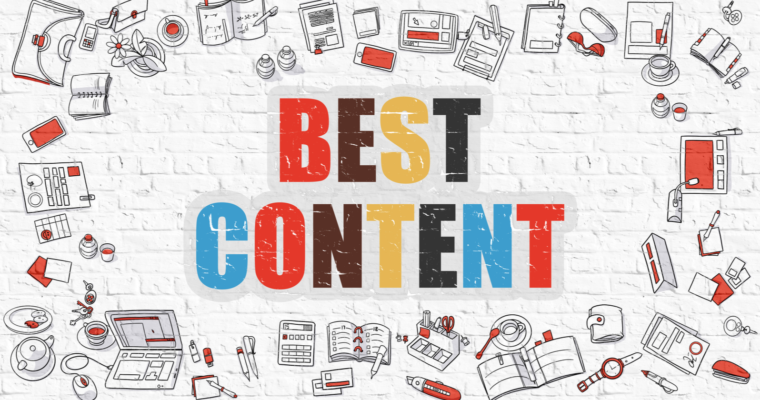 Therefore, to help you compete with your leading competitors in the form of digital content, we wrote this content writing guide for beginners to gain intermediate writing experience. Let us start working on It.! If you are new in SEO and Digital marketing, this question will always strike into your mind. It is a form of writing content, which appears on any website, blog or any post promoting any service or a product online. It can be a product descriptive blog or promotional content to sell or promote a specific product. The text, which we write, needs to be clear, fluent, having no grammatical errors, descriptive and able to support the product. One who writes these contents is known as Content Writer. His job is to write content accordingly or SEO optimized. So how to write rich content, to gain high result in SERP? Who is the target audience of content, how old are they, which gender you are targeting, what is their geographical position. Rhythm is required while writing. When (timing) and where the content will be publishing. Intent – what is the primary intention of content? Is it inform something or you are describing something, or you are trying to convince someone with your piece of content, or if you are telling a story, it will be helpful in all conditions. Audience – the main thing to keep in mind while working on content, whom you are going to deliver it? Are the audience have general knowledge, they are knowledgeable, or they are expert at it. Emotion – emotion can create content that can be memorable or effective. These emotions can be expressed in two main ways by keeping them strong or by keeping them mild, and both can create an impact on the reader to make it successful and meaningful. Domain – selecting a domain to write is also an important step to keep our content useful, worthy and engaging. These domains can be casual, technical, business, academic, creative or general. These are some easy to follow steps that can help you start your content for a broad audience. It is imperative to make content error free, using correct spellings and correct grammar. Use the proper text editor to write and format raw text content, you can use MS word for better results and productivity and can use the spell checker in it to make sure you are writing the content of correct spellings. To get rid of grammatical mistakes grammar you can use free tool Grammarly that checks your spelling and errors in grammar and helps in professional writing (who wants to see many mistakes in spelling and grammar!). Nothing is worse than having a meaningless piece of content published on your name. Properly researched keywords can make content more relevant for the users browsing the web for the results. It has always been good to do some research before starting anything, and when it comes to keywords for content, it is a great effort in SEO. Keyword research can help in understanding users search query and help us to make content more relevant and to the point. These tools can help you plan and optimize your content that your users love. Just white background and black text are not the key to success of a content; visuals in content are becoming the norm. Here are some ideas to boost up your content with visuals like images, memes, infographics, and videos and so on. Marketing based on visual content is growing fast and becoming popular trends. We all know visual content grabs your attention faster as compared to the content having no visual. In research it has been proven that human mind process visual content faster and easier. It makes up 93% of all human communication. In a report Hubspot mentioned, content with relevant images get 94% more views than content with no image. We all know content without visuals make people feel cluttered and make them uncomfortable to read. Subheadings can enhance the content written. They create a direct connection to the readers mind in short time and help them finding what they are looking for. Most people just scan content rather than reading it so making catchy and effective subheadings help a lot. Using proper H-tag helps in maintaining content quality. It also helps web browser to better understand content and make user feel more comfortable to read content. These H-tags helps compiling better content and make it more precise and effective. It encourage them to read more about content. Plays an important role in SEO; it increases user’s time on site. Even work as a navigator guide to the user spending time reading content. Writing content in your own way helps you think more and more about it and makes it easier to express your ideas. Follow some of your favourite bloggers to analyse what they are doing in their content to make it more precise and effective. How they structured or started sentence. No matter the best quality of content, a bad title can make it effortless and can easily kill your expectations with it. Try to keep it eye catchy, to help reader to make a quick decision about reading. These are some easy to follow and implement steps that can help you perform better in SEO and content both. Make sure to follow our tips for creating effective SEO optimized content and to create a must read post, when creating it for your brand or a client and for blog or a website. Thanks For such a informative article about content writing ..